Nice pics bro. I just ordered the lip through the dealer and the splash guards. Nice, you could have saved some money by getting it through everythingg35.com but its all good. Post some pics when you get it installed. im interested in getting one of these too. i got quoted $200 to isntall it at the dealership. Seemed a little pricey for something so simple to install. Anyone know of a good place in orange county to get something like this installed for cheaper then $200. I have a Black 05 Sedan, i have heard people say that you can't even tell its installed on the darker cars. 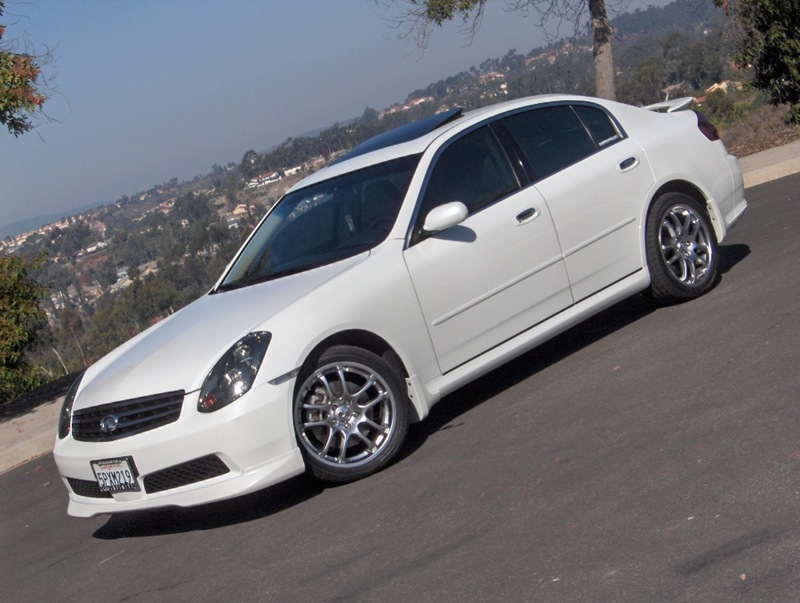 Anyone have good pics of it on an black 05 sedan with splash guards. do the splash guards compliment it well? I have a twilight blue color sedan. I would like to see a picture of this lip installed on either a black or twilight blue sedan. Can someone post a pic. 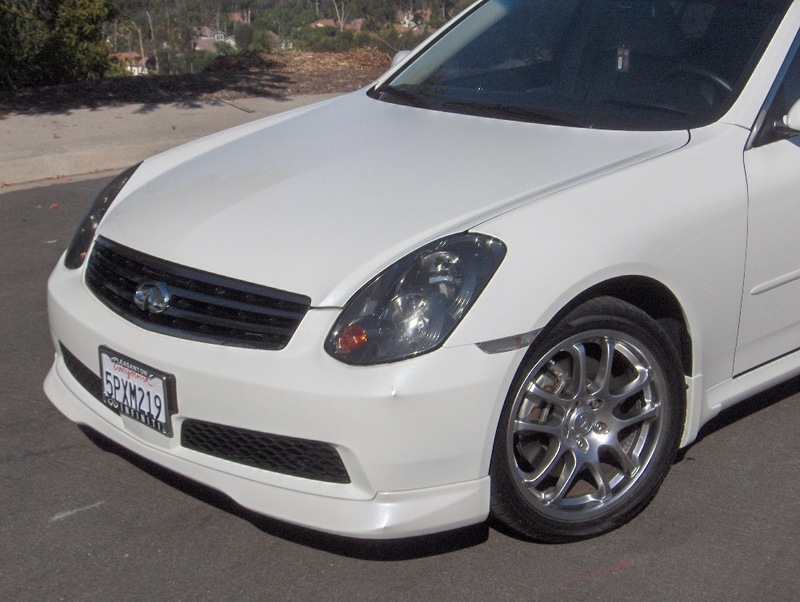 Is the Front Chin Spoiler the same one for a Sedan as a coupe? 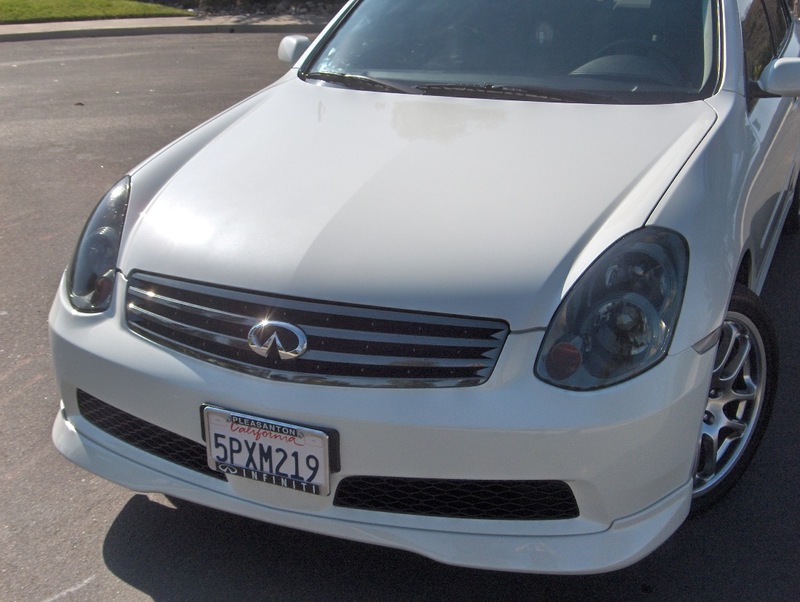 The reason I ask is everythingg35.com list this Chin Spoiler only as a coupe unit. Last edited by InTgr8r; 04-03-2006 at 12:48 PM. 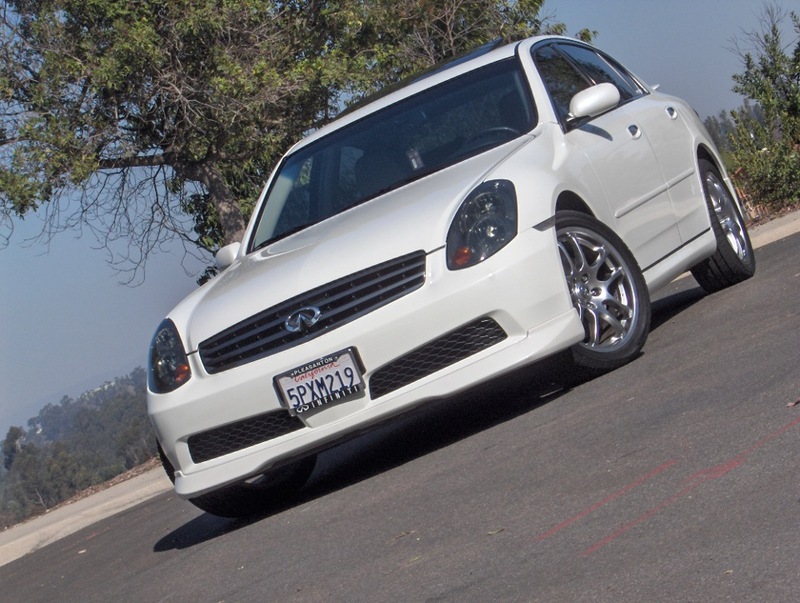 they're not the same but everythingg35 has the front lip for the sedan too. Has anyone installed this on their own? If so, did it take long and what tools did you need. Many thanks.